Famous for his smile, his faith in God, his message of reconciliation and his dance moves during the opening of the 2010 World Cup, Desmond Mpilo Tutu is a reverent and warm man. Nelson Mandela describes this South African Activist and Christian cleric as “sometimes strident, often tender, never afraid and seldom without humour”. Desmond Tutu, who keeps getting showered with awards, from the Nobel Peace Prize (1984) to the Presidential Medal of Freedom (2009), keeps procrastinating the blessings of retirement. A worldwide symbol of reconciliation, faith and justice, his words resounded across the globe: “Do your little bit of good where you are” he said, “it’s those little bits of good put together that overwhelm the world”. Nobody could have imagined that Desmond Tutu’s life would take such an incredible course. Born on the 7 October 1931 in Klerksdorp, South Africa, he was exposed to the oppressive white regime from an early age. Becoming a teacher was one of the few opportunities that were available to black people at the time and he ended up working at the Bantu High School in Johannesburg from 1951 until 1953, when the Bantu Education Act was implemented. This Act, which signified the deterioration of black education, prompted Tutu to quit out of protest. 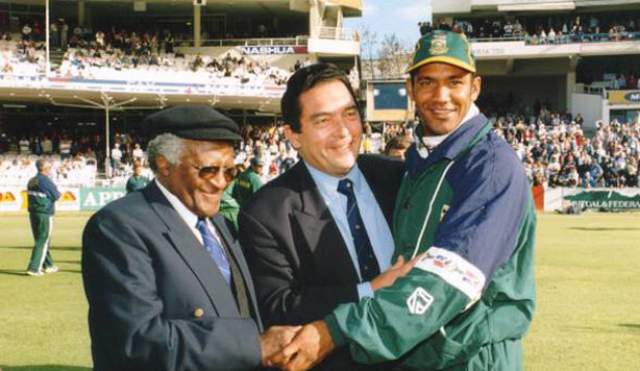 His life took a new course when he took on theology and met the Father Trevor Huddleston, whose anti-Apartheid rhetoric inspired Tutu to follow his footsteps. He left South Africa for London to pursue a Masters Degree in Theology. Staying in London beyond his studies was no option. He wanted to fight Apartheid with a message of non-violent resistance that echoed everywhere: “Stability and peace in our land will not come from the barrel of a gun,” he said, “because peace without justice is an impossibility”. Other ANC freedom fighters resorted to violence and established an armed wing (Umkhonto we Sizwe). Tutu remained true to his own non-violent vision. He demanded both national and international attention for the inhumanities of Apartheid and supported economic boycotts. His cause gained weight when he became Archbishop of Lesotho in 1978 and was subsequently appointed secretary-general of the South African Anglican Council of Churches. In 1984 he was awarded the Nobel Peace Prize and one year later he became the Archbishop of Cape Town. In 1986, his star rose further as Primate of the Anglican Church of South Africa. 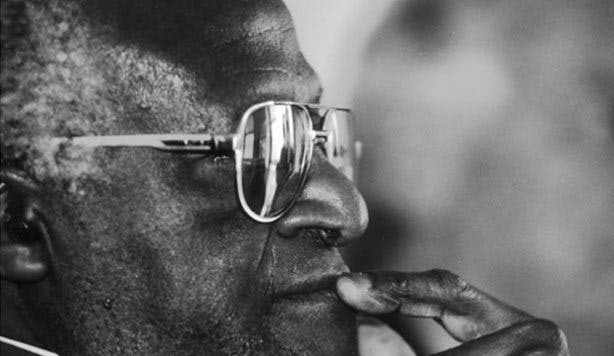 Tutu kept teaching and preaching equality. His ideals made him a leading personality in reconciliation processes worldwide. When Mandela was chosen as the leader of the new South Africa in 1994, Desmond Tutu was asked to act as head of the Truth&ReconciliationCommittee (TRC). 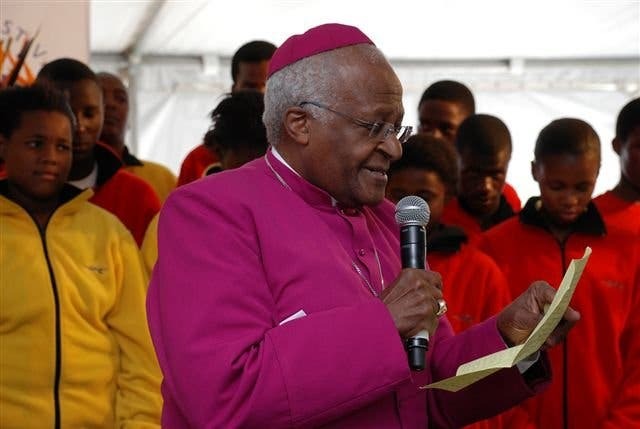 Tutu resigned as Archbishop to dedicate his time to the TRC. He continued his work even when he was diagnosed with prostate cancer in 1997. It was Tutu who coined the term ‘Rainbow Nation’ to describe South Africa's ethnic diversity. With his message that “a person is a person because he recognizes others as persons” Tutu demanded that all South Africans acknowledge each other as human beings. His cause reaches beyond his own struggle, country, continent and even his own Anglican religion. “If God, as they say, is homophobic, I wouldn't worship that God." 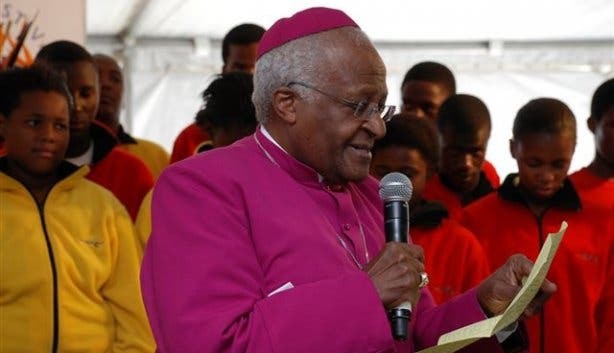 Tutu expressed sadness over the church’s attitude towards gays. Why spend so much time disagreeing on sexual orientation "when we face poverty, HIV/AIDS, war and conflict"? South Africa is the only African country whose constitution includes equal rights for homosexuals. To Tutu, it could hardly be simpler: we are all children of God: black, white, bisexual or transsexual. He also finds it sad that such an admirable freedom fighter had transformed into ‘Frankenstein’. He called on other nations to oppose Robert Mugabe’s crimes against humanity. By comparing the Zimbabwean situation with the Rwandan genocide he pressured international leaders to act in time. Mugabe, not particularly charmed by these remarks, lived up to his new reputation by calling Tutu ‘evil’. Even the ANC got their ‘piece of Tutu’ in the past few years. He addressed President Zuma’s “moral failings” and expressed his embarrassment for the course of his country, wondering “Is this why people died, is this why people went into exile, is this why people were tortured?” Moreover, Tutu criticized the ANC’s silent diplomacy by openly telling them ‘they are not God’. Agitated by Tutu’s remarks, the ANC denounced Tutu’s critique as ‘sacrilege’.